Bernards Township is a township in Somerset County, New Jersey, United States. At the 2010 United States Census, the township population was 26,652. The population increased by 2,077 (+8.5%) from the 24,575 counted in the 2000 Census, which had in turn increased by 7,376 (+42.9%) from the 17,199 counted in the 1990 Census. Basking Ridge, Liberty Corner, Lyons and West Millington are ZIP codes and unincorporated areas located within Bernards Township. Martinsville is an unincorporated area in Bridgewater Township, whose 08836 ZIP code also covers portions of Bernards Township. Bernards Township was originally formed by Royal Charter in 1760 as Bernardston Township from remaining portions of Northern precinct. It was incorporated as Bernards Township as one of New Jersey's initial group of 104 townships by an Act of the New Jersey Legislature on February 21, 1798. Portions of the township were taken to form Warren Township (March 5, 1806), Far Hills (April 7, 1921) and Bernardsville (March 6, 1924). Bernards Township now comprises Basking Ridge, Liberty Corner, Lyons, and West Millington and celebrated its 250th charter anniversary on May 24, 2010. 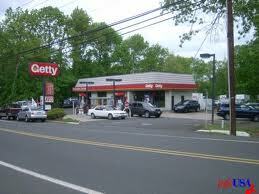 Bernards Township operates under the Township form of New Jersey municipal government. The Township Committee consists of five members, elected by the public in partisan elections for three-year terms of office on a staggered basis, with one or two seats coming up for election each year.In the Township Committee form of government, all legislative and executive powers of the Township are the responsibility of the Township Committee, except in matters of health. The Mayor is elected by the committee from among its members at the annual Reorganization meeting held in January. In the Township Committee form of government, all members have equal power and may vote on all issues. As of 2012[update], members of the Township Committee are Mayor Mary Pavlini, Deputy Mayor Carolyn Gaziano, John Carpenter, John Malay and Scott Spitzer. Elections In recent years, Bernards Township has leaned toward the Republican Party on the national and state levels. In the 2008 Presidential Election, Republican John McCain received 56.1% of the vote (8,078 ballots cast), outpolling Democrat Barack Obama, who received around 42.6% (6,143 votes), with 14,405 of the township's 7,330 voters participating, for a turnout of 79.9%. In the 2004 Election, Republican George W. Bush took 60.6% of the vote (8,364 votes), ahead of Democrat John F. Kerry, who received around 38.5% (5,317 votes), with 13,812 of the township's 16,534 voters participating, for a 83.5% turnout percentage. In the 2009 Gubernatorial Election, Republican Chris Christie received 59.5% of the vote (6,124 ballots cast), leading Democrat Jon Corzine who received around 25.6% (2,639 votes) and Independent Christopher Daggett who took 13.9% (1,427 votes), with 10,293 of the 18,244 registered voters in the township participating, yielding a 56.4% turnout rate. Will you need to add more security cameras to your system in the future? Don't see a system with the exact model of security camera that you need or are you unsure about what is best for you? All security cameras can easily be switched out to any model and type that you need. 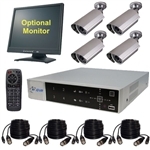 Please call us and let us help put together a Custom Surveillance System that is right for you. 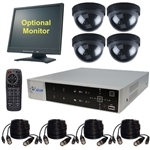 The 4 camera security systems from CCTV Camera are designed to be easy to install and come with everything that you need to have a complete plug and play surveillance system for your home or business. The 4 camera surveillance systems that we most frequently recommend are the packages that include our iDVR which includes free apps and software for remote viewing from Windows PCs, Mac PCs, iPhone, Android, and iPad mobile devices.